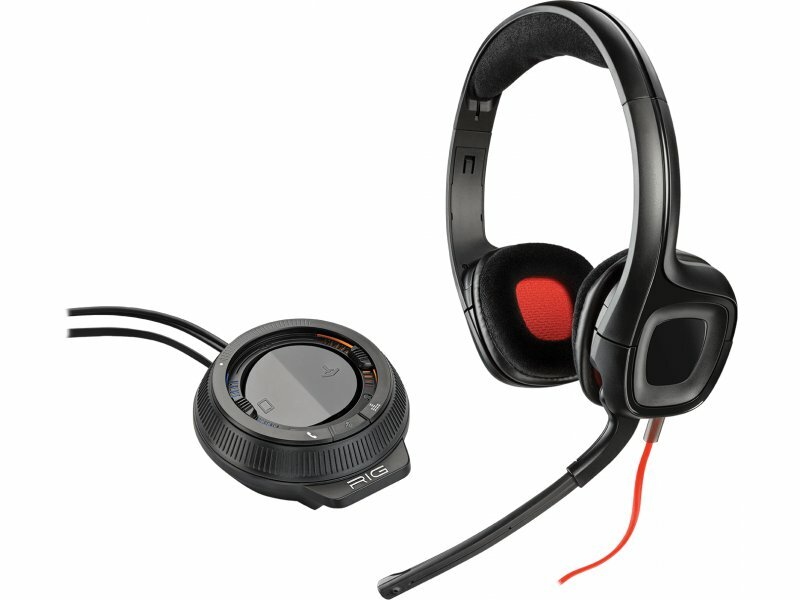 Lightweight and flexible, the headset is comfortable for hours and the 40mm stereo speakers deliver Plantronics signature audio: rich, resonant stereo with brilliant clarity and powerful bass. 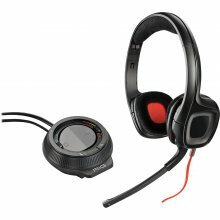 Flexible, noise-canceling microphone reduces background noise so you can easily be heard and the amp lets you toggle mic feed between game chat and mobile calls or Skype™. Lightweight and small enough to fit in the contours of your hand, the amp lets you mix the balance of game action to either chat audio, mobile music, calls, or Skype™ without looking away from the screen. Tap one of three EQ settings on the amp to choose between Pure for improved voice clarity, Intensify to boost mid-range audio, and Seismic for more excitement without bass distortion. Convenient PC and console connections and cables are long enough to reach a console across the room.